This mod is a demo, it does not convert the entire game. If you like the changes the mod has made, please let us know, and we'll be encouraged to finish this mod. The encouragement is entirely necessary... because due to RPG Maker MV, and Orange's code, the engine crashes whenever you make changes to the game and I cannot use Functions. If the mod does not generate interest, I will not complete it, as the modding tools are that awkward. This mod is a demo, and unfortunately will not be completed by the original author. Anyone is free to pick this up and continue the work, so long as they credit "Mask" as the originator of the mod. See the post at the bottom ("Why are you Stopping? "), for more details as to why this mod will not be completed. Fear & Hunger is a game of massive potential. The art, the themes, and the creative mystery is enthralling. The one thing holding it back... is the ill-balanced and neglected aspects of combat and Survival (via the Fear and Hunger mechanisms), which should be the main course in terms of tension, strategy, and dramatic emphasis in the game. Our goal is to make the combat, and to what extent we can the survival aspect, the best part of Fear & Hunger, through this modification. The combat has been rebalanced, and a dozen monsters from the early game have been tweaked for better balance and gameplay. New damage types have been added, the starting characters now have significantly different stats, and we are also experimenting with new mechanics, such as the addition of several levels of bleeding which can stack. We have recently begun tweaking the Survival aspects, and Hunger is now properly implemented. There are still many monsters which need to be tweaked, to be brought in line with this rebalance mod. For that reason, the mod is far from complete, and not suitable for a full playthrough. [Rebalance] Weapons, armour, playable characters, and enemies have been rebalanced. [More Bleeding] Two new bleeding levels have been incorporated into the game, these can stack so that you, or your enemies, can bleed faster. Player weapons get the advantage in terms of bleeding, since you're presumed to keep your weapons sharper than the blithering hordes you face. [Defence] Your DEF stat is now used in combat, and wearing armour now effects how much damage you take. Currently, armour applies slight penalties to Accuracy and Dodge chance (8% dodge chance, for the Plate harness). In the official game at present, the DEF stat does nothing, and many pieces of armour won't reduce incoming damage. Orange has talked about plans to make armour more effective in the next version. [Dogpiling] Weak enemies in the game can't penetrate your armour, but they will reduce your DEF every time they hit you, making it so you can be swarmed and overwhelmed by cave gnomes, if you are not careful. [Blood Golem] Has no DEF, but takes half damage from everything except Fire. [Fire] Fire is more dangerous, but damage is greatly reduced by covering yourself in clothing and or armour. DEF rating doesn't doo much against fire, it is divided by 4--but you get a % reduction to fire damage based off how covered-up you are. If you are set on fire, you can use Guard to try and beat it out. Remember that armour reduces these. So far, this appears to balance out well. Please try it and give us your feedback. As you can see, many monsters are still missing, as we have focused on those that were present in the first demos of the game (giving less attention to enemies like the butterfly, who scarcely fight back). If the mod generates interest, we shall expand it with the intention of re-statting every combat encounter. Insta-death coin tosses are added back into the game. I'm very sorry towards those who hate these.... Simply, the only way to avoid adding them back in, would be to redo the Troops.json file from scratch every time I updated the mod. Sadly, the json files are fairly incomprehensible as to what does what, otherwise I could've worked out a way to change the code enmasse for all Troops. Since this demo only has re-statted two or three enemies who use coin-tosses... it was not a high priority. 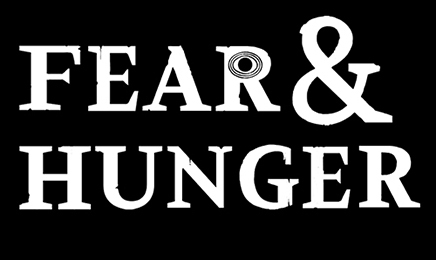 [Hunger] When you get to 50% Hunger, you will start to take five levels of penalties. These are Hunger I: 90% ATK Power, II 75% ATK, III 50%, IV 25% and V 10% respectively. In the original game at present, for some bizarre reason, the penalties go Hunger I: 30% ATK Power, II 30%, III 50%, IV 50%, V 50%. Where you get less weak, as you starve more. [Item Uses expanded] I've added additional methods and crossovers, for removing status affects in the items. They all have some logic behind them, so I won't spoil it by telling you what combinations to use. I'll give you a hint for one of them, though: Moldy bread was used in medicine, in the medieval period. You are given an unlimited-use of a Tome of Enlightenment at the start of the game. The game is in a beta bug-fixing stage still. If you don't want to have this option, keep the original Map010.json file instead of replacing it with the modded one, or just ignore the SaveBook item you start with. Mask: Developer of the mod. Kill_Switch: Community manager and lead tester. Sammy: Technical help and the person who encouraged Mask to start this mod. Aside from fixing any critical bugs in the current release, I'm afraid to say this mod will not be updated further. The reason for this is simple: Every time I update the mod to the latest version of F&H, it is a very tedious process. I have the choice of remaking the mod almost from scratch, or of grossly copying old files over new ones and possibly erasing new features (see "Coin Tosses", above). Also, as I have mentioned above, modding the game is incredibly tedious, requiring me to use an engine that frequently crashes and has to be reloaded every crash, and sometimes randomly deletes files. What's more... this game simply has a lot of bugs. I am not going to bother fixing all these bugs myself, as I could use that effort to make my own game more easily. And the large number of bugs means that (hopefully) there will be many future patches and bug fixes, which would make completing and updating this mod a hellish experience that would only get worse as the mod got bigger. For these reasons, I have decided to update the game to work with the steam version's initial release, version 1.1.1, and call it quits. Go to the data folder, in the www folder, in your F&H game install directory. [Recommended] Backup your F&H data folder by making a copy of it. Extract the mod into the data folder. It is now installed. A book of unlimited saving is included in the Map010.json file for debugging/testing purposes. If you want to not add this to the game, simply don't add the Map010.json file, or replace it with the original Map010.json file from the official game. If you wish to add the Savebook, but leave the game mostly unchanged, you will have to add Map010.json , Items.json , and States.json to the game, and ignore the other files. This will change some aspects, still, like how much damage bleeding inflicts, Guard will also give you a dodge bonus, and several items have been re-balanced (like the stones). Largely, this will make few changes to the main game. I may release a dedicated Save Book mod, if this is requested.